Dear Bin and Sameer, thank you so much for your kind support for all of us in TranslationPapers Bali. We really appreciate your great support. 🙂 All the best for you! Luh Windiari undertook a challenging role for us, translating training for doctors at an international training retreat. She was exceptional. The service was 100% and a lot of participants commented on the quality of the translation service. Luh Windiari was able to recall large amounts of complex information, she rapidly acquired the content knowledge and was able to go above and beyond and help out in group activities and answering questions when needed. She was punctual, polite and a pleasure to work with. I would recommend her service to anyone, and will definitely be seeking her service again. 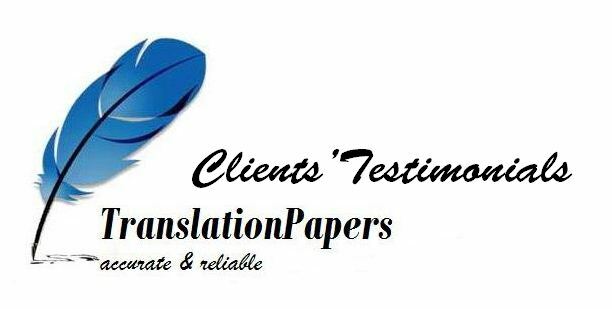 I am very satisfied with the quality of works given by Translation Papers Bali with a competitive price. They translated my documents very well with good English accuracy. I wholeheartedly recommend any body who needs to translate documents to trust the work to Translation Paper Bali. Meritus Group International Ltd. is very satisfied with the translation works of TP Bali, Until now we have used their services on 3 occasions and will certainly use them again in the future. We are pleased to recommend TP Bali to anyone who is in need of a fine translation for a reasonable price. Thank you Windi & team for jobs well done! Translation Paper Bali did such an amazing job in translating my diploma certificate. I was very pleased with the result as they did almost perfect translation. They did a lot of researches and communicated ambiguous words and phrases that need more explanation. I personally recommend Translation Paper Bali for anyone who need a proper translation with a good price. My special thank to Windy and team.